The F-word, also known as ‘freedom’ in some circles, becomes rather dangerous when it precedes two other words to form The Phrase of Death – FREEDOM OF SPEECH. Nobody talks about it and even though I am merely typing these letters, my fingertips are already overcome with Orwellian trepidation. However, perhaps the brouhaha surrounding the Shadrake trial could be the impetus for change and a more open Singapore society. 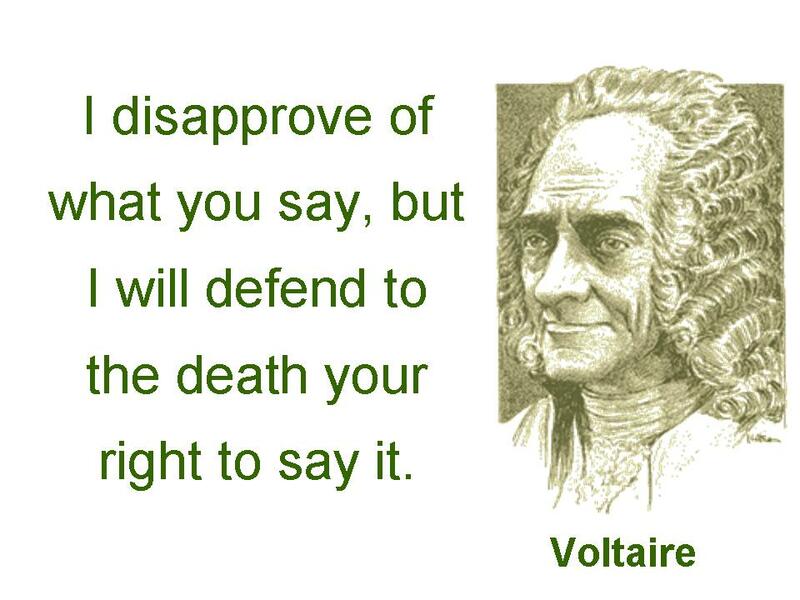 It might be a good time as any to awaken from our apathetic slumber and consider what freedom of speech means to us. The main reason why freedom of speech is important is because when defamation action is brought before a court – such as the case brought on by the AGC against Shadrake – there are two competing tenets that must be balanced – freedom of speech and the protection of an individual’s reputation. The idea of freedom of speech has effect and manifestation of particular social, political, cultural, economic and legal power relationships for centuries. It is a basic human right and is even enshrined in the Universal Declaration of Human Rights (Article 19). This means that if there was a scale on the international level of the importance of certain rights, freedom of speech will be safely within the Don’ch Play-Play level. The period of Enlightenment in Europe (around the 18th century) wasn’t when all the ang mohs became Buddhists and attained nirvana but was a period where philosophical arguments in support of freedom of speech gestated. The birth of concepts such as freedom of speech as personal autonomy, dissemination of ideas to allow The Truth to be discovered, and the idea that free speech is the essence of democracy and self-government have matured into cornerstones of most democratic countries around the world. The idea that freedom of speech is an integral part of personal self-development and fulfilment has been rebutted in Singapore with the excuse that Singapore is a multi-racial city-state (cue National Day songs) where the harmonious living of Singaporeans demands the surrender of each Singaporean’s freedom of speech. Personally, I feel that this excuse no longer holds true in 21st century Singapore. We are racially heterogeneous but we are also racially harmonious. Am I the only one insulted that our government thinks we are not smart enough to distinguish that a fruit-loop who says something negative or tells a horribly insensitive joke about a certain race is harmless and clearly not to be taken seriously? And, hello, has anyone seen the increase in the number of Chindians and Eurasians in Singapore? It’s almost like an eye-candy epidemic that nobody wants a vaccine for. The discovery of truth argument basically assumes that citizens have a basic level of intelligence and that it is possible to distinguish between truth and falsehood because in an open debate falsity will be exposed. This means that all opinions could and should be challenged so that The Truth will prevail. Some smart, albeit wuliao, people (i.e. professors of philosophy) have claimed that it is not possible to ever discover The Truth. Without getting caught in the black hole of a discussion of Truth, I have one thing to say (thanks Google!). Even if truth cannot be established for certain, more knowledge is still better than less knowledge. And with more ideas and knowledge available, we will be able to make a more informed decision about what will constitute The Truth. The third justification that freedom of speech is the essence of self-government and democracy is rather contentious in Singapore I would assume. The starting point is that a representative body (i.e. the government) exists for the purpose of responding to the demands of the people (note: this is the contentious part). Anyway, assuming the former sentence holds true in Singapore, freedom of speech is thus necessary for the public to express its demands to the government. Furthermore, freedom of speech makes information available to the electorate to facilitate democratic choice and debate about government and political matters. In Australia, the courts have established that discussions of political and governmental matters are not protected by defamation claims because it is important to discuss and criticise politics because it serves a legitimate aim of a representative and responsible government and allows people to become free and informed electors. This is an important precedent and if we can’t lure (read: steal) the Australian athletes to Singapore with the promise of PR status (wahlau, they won everything at the Commonwealth Games), then at least we should steal/borrow/adapt their relaxed approach to political defamation (with more potential for success, some more). As Singapore attempts to brand herself as a global centre – or at least a Southeast Asian hub for creativity and innovation – it is clear that an inhibition on free speech and a gazillion cases of defamation action merely create a stifled nation with intimidated and taciturn individuals. That culture is – confirm plus guarantee with a 3-year warranty – unlikely to encourage creativity and innovation. Defamation is still relevant to protect an individual’s reputation but I believe that defamation should be used as a shield and not a sword. But then again, I didn’t read law in Cambridge. GENERAL DISCLAIMER: This article has been written by an author with limited knowledge of philosophy or law and a highly disputed sense of humour. It is a complete work of personal opinion and satire: DON’T SUE (it will be ironic). Any offence taken herein should be directed to the Internet’s ethereal army “ANONYMOUS”. The reader assumes ALL responsibility and risk for reading this article. Under NO circumstances, including a dream within a dream within a dream or at any stages of INCEPTION will the author be liable for any direct, indirect, incidental, exemplary, special or consequential DAMAGES that result from questioning it’s factual basis or innuendoes.